This cosy collection of cute critters is just the thing to get the kids through the cold days ahead. There are some terribly crafty people who turn me green with envy – and Charity Savage is one such person. 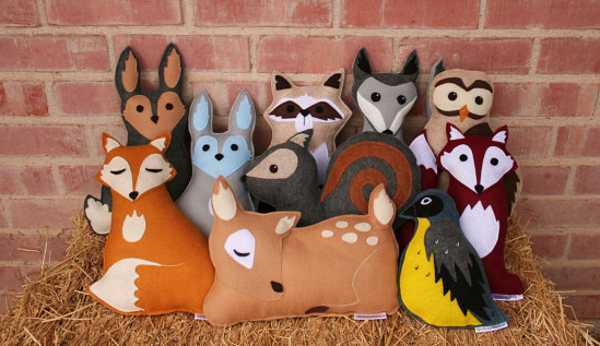 Her store Savage Seeds is bursting at the seams with some of the most sublime forest creatures, crafted into cushions. 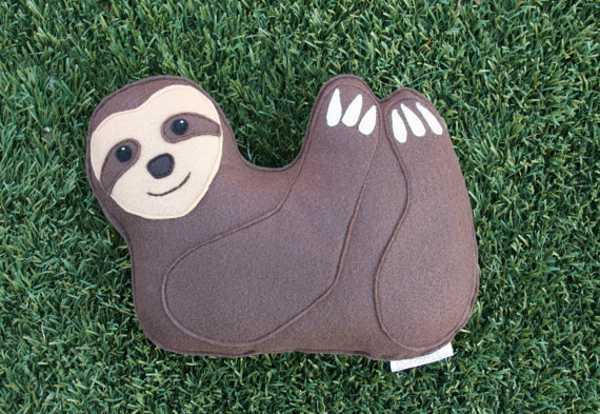 Her latest addition is this adorable Three Toed Sloth, who is part of the Rainforest Critter collection. He has a red heart on his back which can be personalised with initials. 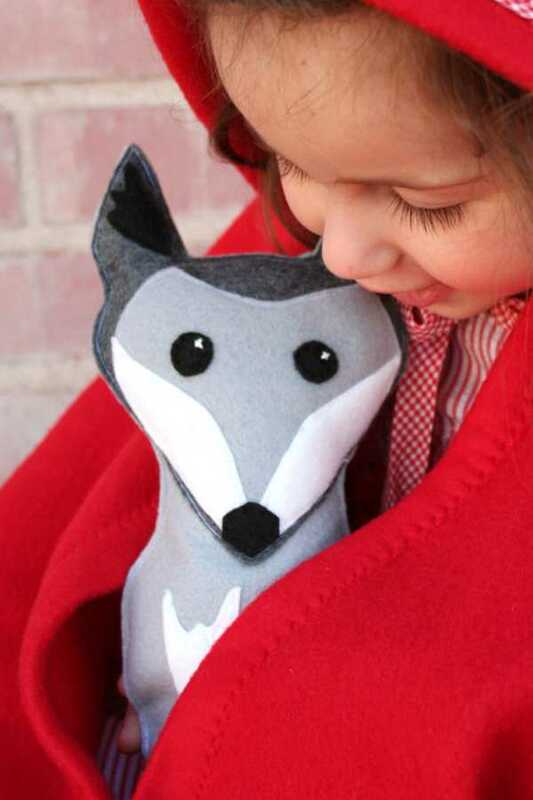 He’s made from environmentally friendly wool felt and eco felt and stuffed with Bamboo Nature Fil Fibre. He costs USD$34. 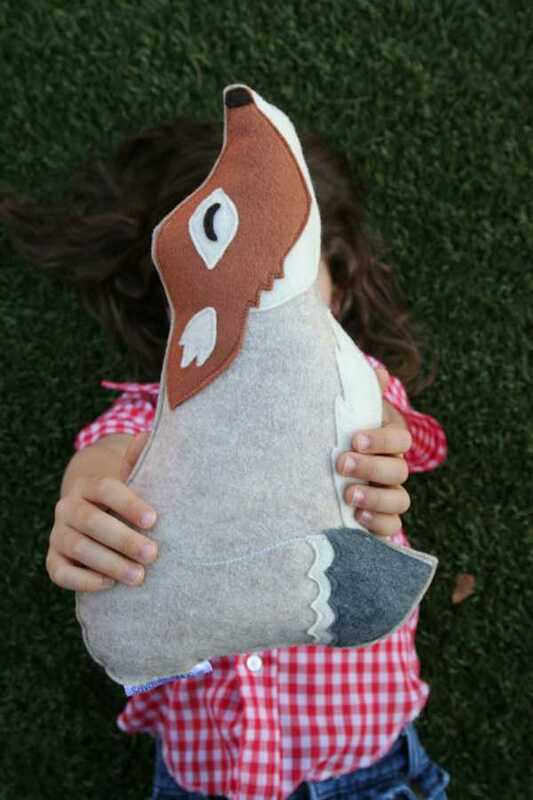 Also new to the Savage Seeds store is the Woodland Cushions. The acorn, mushroom and oak leaves group is just gorgeous. 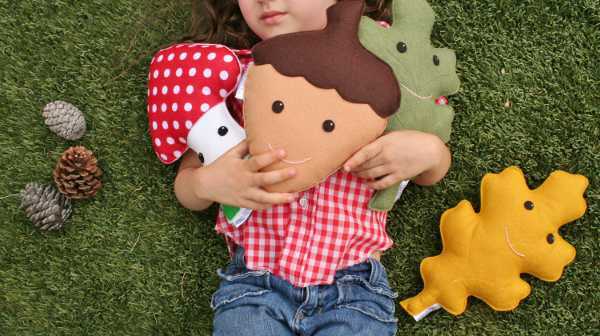 Cuddly and cute, a choice of three cushions is USD$74. Some terribly dapper foxes also make an appearance in the collection, as does this very handsome coyote (USD$34). 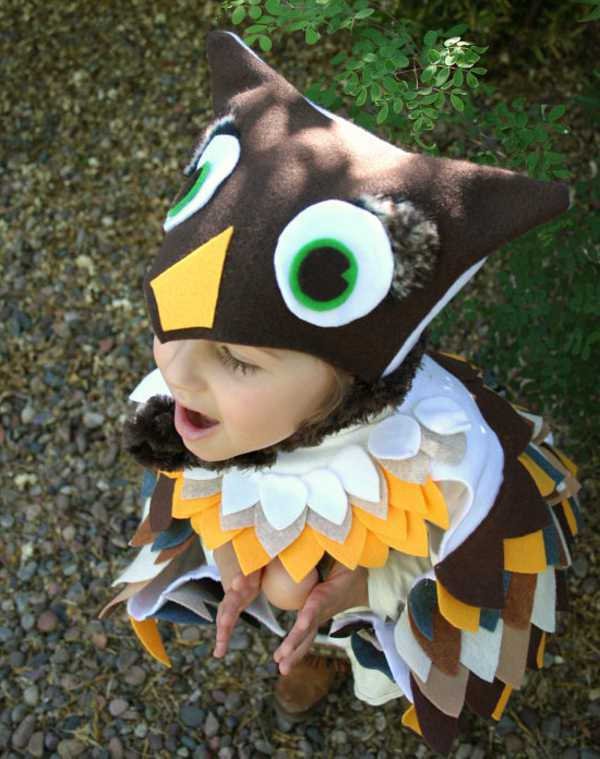 The detailed and very beautiful owl costumes make a change from the usual dress-ups available in stores. Layered wings and an owl hat complete the woodland look. The costume costs USD$78 and is available in a couple of different designs. Everything in the Savage Seeds online store is handmade, and shipping to Australia is available.